I suggest you pour yourself a nice glass of cucumber water, because I am about to show you how to pamper yourself with an easy and affordable spa treatment at the comfort of your own home. Now the key to a successful facial is exfoliation because after all the goal is to clean out your pores, and of course feel relaxed and refreshed. 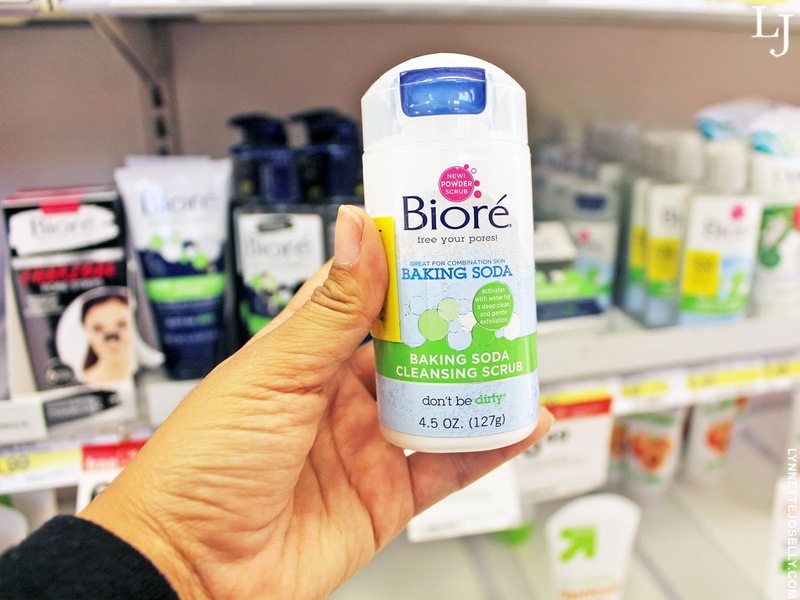 The good news is that Bioré has a new Baking Soda collection available at Target; a cleansing scrub and a cleanser that penetrates your pores to get rid of any dirts and oils, all while gently exfoliating the skin. Step 1: Cleansing. 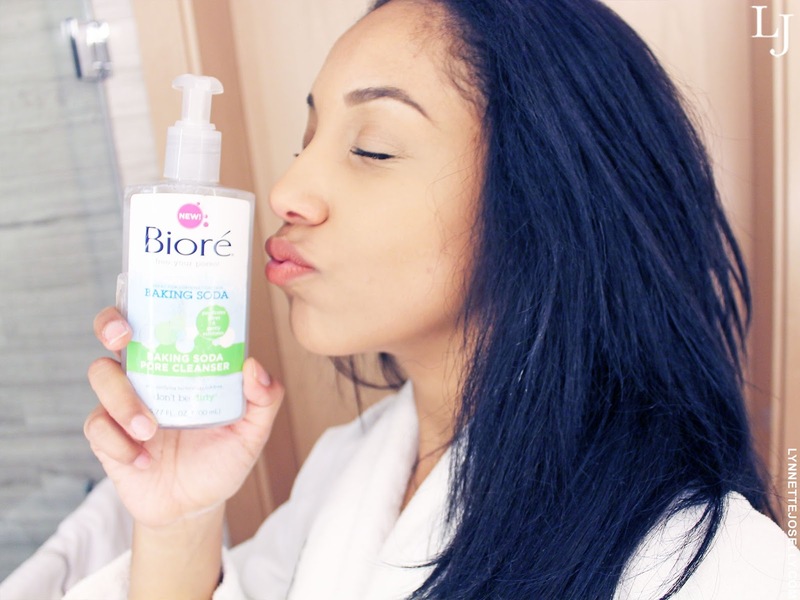 Make sure you use a face cleanser like the Bioré Baking Soda Pore Cleanser to avoid your skin from drying out or getting irritated. Apply with the fingertips in round circles to improve facial circulation. Then remove with a soft cotton or tissue, or rinse off if preferred. Step 2: Exfoliate. 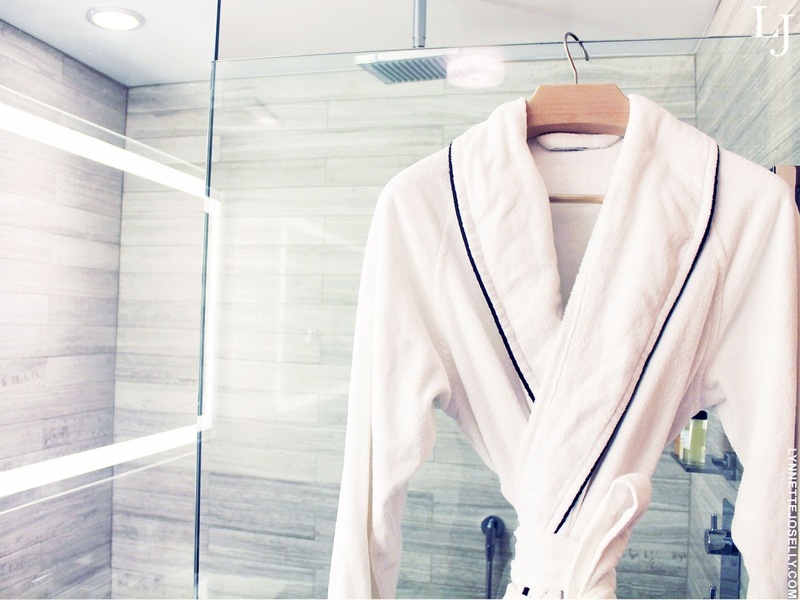 Put a fresh face forward and make sure to exfoliate at least twice a week. 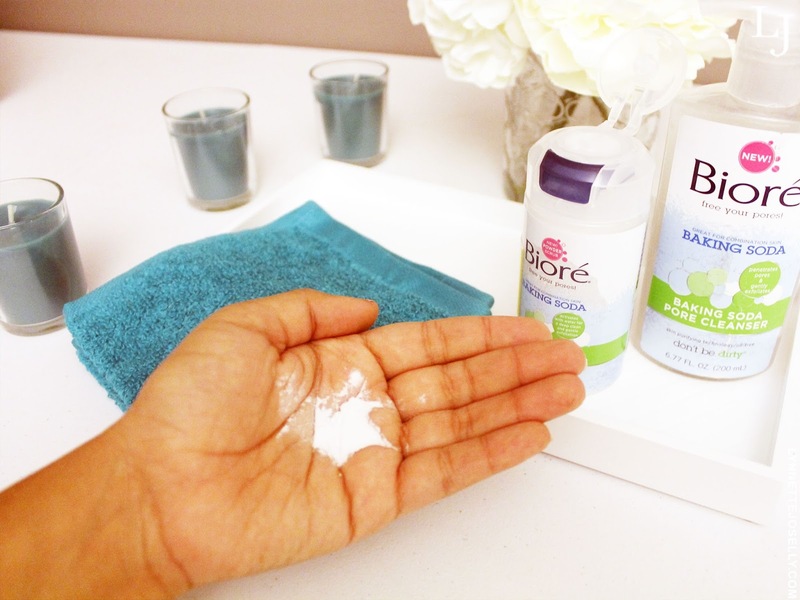 The Bioré Baking Soda Cleansing Cleansing Powder Scrub will gently scrub off the old dead skin cells so newer and better skin cells can grow to make your skin look younger and clean. Since this a concentrated powder scrub it will activate once you add water and start feeling the baking soda cleanser fizz! From personal experience I felt my pores being penetrated instantly, especially in my most troubled area, my nose. There was no need for extractions, my pores were wiped out clean from black heads! Step 3: Apply Mask. Since Target always knows how to get you to spend more with their amazing deals, I decided to go for a full on at-home spa treatment and purchased the Bioré Self Heating One Minute Mask. Now that my pores experienced a deep cleaning from the baking soda cleanser scrub, this mask will leave your skin tightly smooth and refreshed. Step 4: Moisturize. It's time to seal the deal. After your face has been rinsed, it's time to nourish and protect. Moisturizing your skin is one of the best things you can do after exfoliating for younger looking skin because having enough moisture in your skin will prevent dryness, flakiness, acne and also wrinkles in the long run. 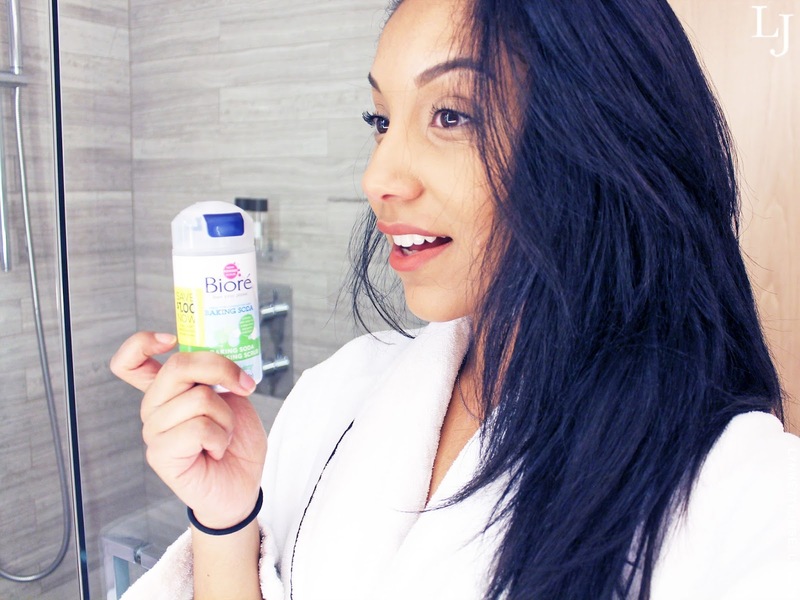 Although we all want and need those spa days but are hesitant due to time and money, the more affordable and convenient option to achieve a clean and fresh glow is with the Bioré Baking Soda Facial Cleansers. Deeply cleansing the skin, getting rid of any buildup in the pores and helping to break up black heads all through the fizz from the baking soda cleansers. It will also help smooth and refine your skin's texture. If you have oily or combination skin? 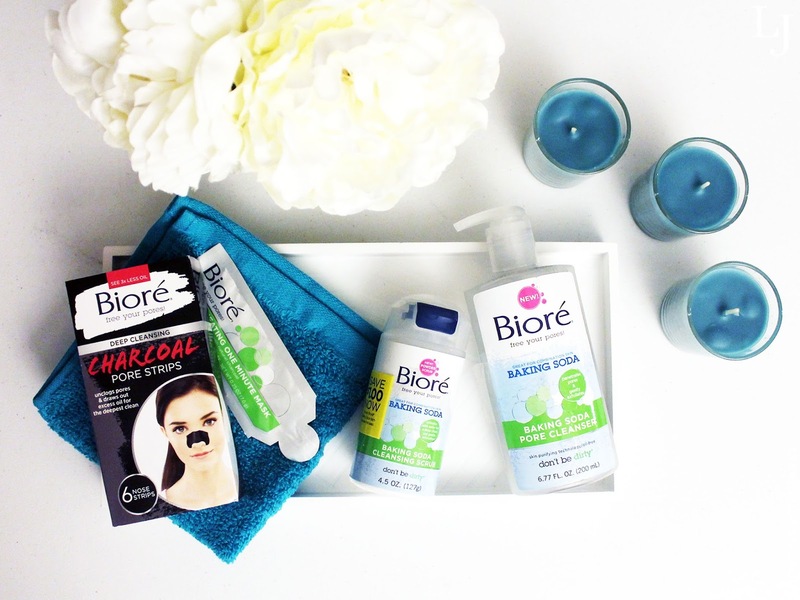 Click here to find out which Bioré Charcoal Products are right for you!